Complementary extension for Vik Booking. The first and only native Channel Manager for Joomla! 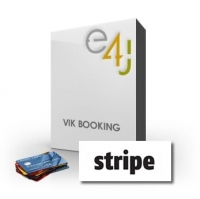 Seamless Payment Gateway for Stripe. Vik Rent Items is an extension for building a complete items hiring service for your Joomla website. Vik Restaurants is an extension born to build a complete reservations system for your Joomla website. Designed for any kind of restaurant, ..